Clark Seif Clark provides testing and consulting services to identify a wide range of drug-resistant environmental microorganisms to mitigate exposure risks. The Centers for Disease Control and Prevention (CDC) reports that on any given day, about 1 in 25 hospital patients has at least one healthcare-associated infection (HAI). Last month, for only the fourth time in its history, the United Nations General Assembly took up a health issue and voted to take a broad and coordinated approach to confront antimicrobial resistance. 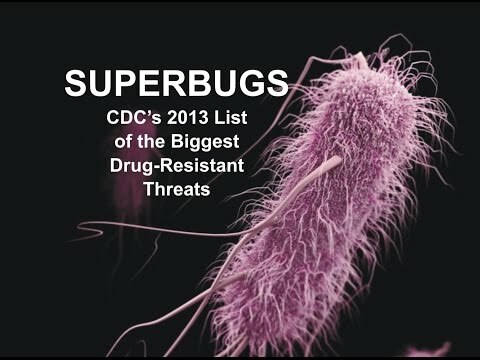 The historic action by the United Nations was due to the growing list of drug-resistant microorganisms that are now found across the globe, including in United States. The Centers for Disease Control and Prevention (CDC) reports that on any given day, about 1 in 25 hospital patients has at least one healthcare-associated infection (HAI). Many of these HAIs are caused by drug-resistant pathogens. A number of these pathogens were once considered to be predominately healthcare-associated infections, but many are now also commonly acquired in community settings. While some of these are primarily spread from direct person-to-person contact, many others are known to spread when people come into contact with contaminated surfaces and other materials. The indoor environmental quality (IEQ) and microbial pathogen experts at Clark Seif Clark offer surface, air, water and material testing and consulting services to identify microbial contaminants. These services are instrumental for confirming cleaning and disinfection procedures, identifying potential exposure risks and for pinpointing the likely sources of infections at a site. To learn more about environmental pathogen testing or other environmental, indoor air quality, occupational, health and safety services, please visit www.csceng.com, email csc@csceng.com or call (800) 807-1118.